Simpson Millar’s Travel Claims Team pursues personal injury claims against the UK’s biggest tour operators whose hoteliers cause sickness, including food poisoning, to its guests staying in Havana, Cuba. E. Coli – claim compensation from Thomson Holiday, Thomas Cook etc.? How to claim for illness, food poisoning and contaminated swimming pools? Ill, sick and unwell whilst on holiday in Cuba? Campylobacter, Salmonella and Giardia on holiday are preventable! Havana is a cultural city full of heritage and tradition. Havana is an amazing Caribbean city mixing grandeur and ruins with centuries of architectural style and an ambiance that purveys 1950's colonial life with a twist of the present. Couldn’t enjoy the culture in Cuba because you were ill? Havana – Sickness Bug Advice? Holiday companies such as Thomson Holidays – Kuoni – Thomas Cook etc. often receive complaints from UK travellers who suffer illness due to food poisoning caused by E. Coli, Salmonella, Giardia Lamblia or any other bacteria that shouldn’t be allowed to contaminate food. However, most complaints are dismissed on the basis that the complaining holidaymaker is unable to prove the precise cause or source of the infection through a lack of medical or legal knowledge. Simpson Millar’s specialist travel lawyers work with experts worldwide enabling us to successfully claim compensation from tour operators! E. Coli Fact: Most strains of Escherichia coli form part of the normal intestinal microflora in human beings and warm-blooded animals. However, strains such as E. Coli 0157 have the ability to cause severe disease in humans through the presence of specific virulence factors. If you have been exposed to food poisoning from Salmonella, E. coli or Cryptosporidium etc. in Havana, Cuba, and seek compensation for your illness, contact Simpson Millar’s Compensation experts immediately for a free review of your case. Our team of friendly and experienced travel lawyer handle hundreds of holiday claims every year against tour operators pursuant to the 1992 Package Travel Regulations and Sales of Goods and Services Act 1982. 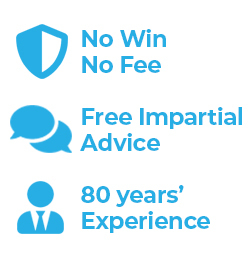 We can claim the compensation you deserve and are happy to discuss representation. Contact our travel lawyers on 0808 145 1353 or complete the online claim form and we will take on your holiday complaint against Thomas Cook, Virgin Holiday, Kuoni and Thomson etc.